Bartholomeus Klip Private Nature Reserve, Riebeeck-Kasteel. 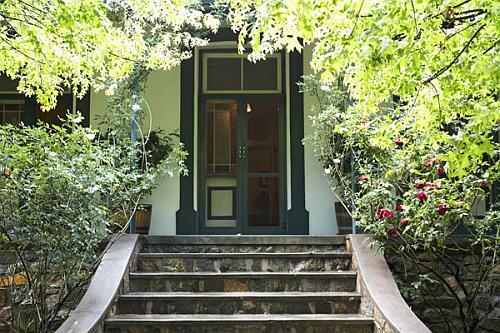 The farm is situated approximately 1 hour's drive from Cape Town. On the farm, wheat is the major crop with oats, canola and clover pastures grown on a rotational basis. 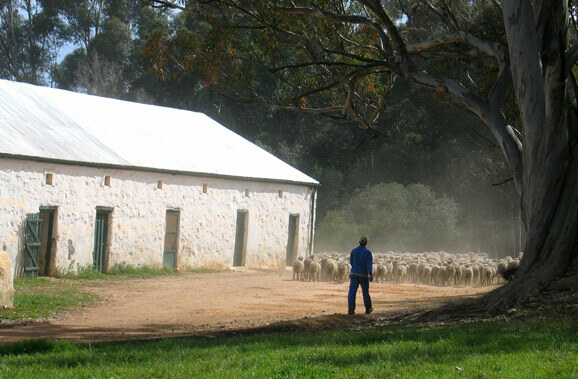 The 4 000 merino sheep are kept primarily for their wool. Visitors enjoy visiting the shearers in the big shed near to the farmhouse, where the wool is shorn, graded and packed into bales. 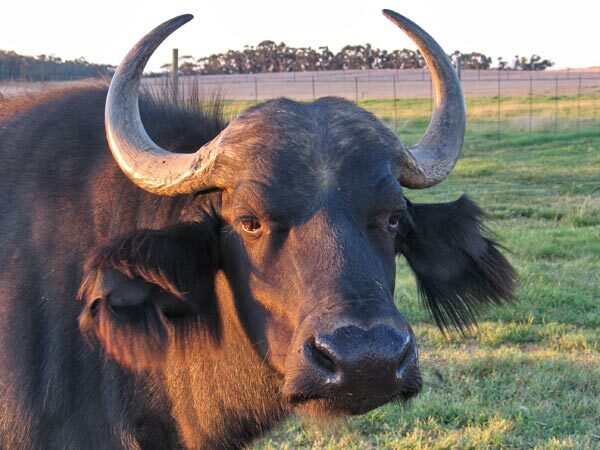 An interesting and unusual project at Bartholomeus Klip is the breeding of disease-free buffalo. As most of the buffalo in Southern Africa are infected with corridor disease and foot and mouth disease, "clean" animals are bred to supply game ranches, especially as buffalo are one of the Big Five (the others being lion, elephant, rhino and leopard). The conservatory-style dining room allows guests to enjoy brunch in the mornings and a four-course menu in the evenings. The Main House - The main homestead has four bedrooms and an outside suite. Wild Olive House - Wild Olive House consists of a open-plan sitting room, dining room, equipped kitchen, two double bedrooms, a smaller single room and two bathrooms. The Cottage - The Cottage is situated in the garden of Wild Olive House and consists of double bedroom, bathroom and small sitting room, and a private verandah overlooking the reserve. The Deckhouse is situated at the edge of Bartholomeus Klip's lake-sized farm dam and caters for intimate weddings and conferences. 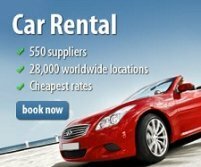 Functions for around 30 people can be arranged with sleeping for 16 in shared accommodation. A highlight when visiting Bartholomeus Klip, are the morning and evening game drives through the 10 000 acre nature reserve. The reserve is teeming with herds of eland, springbuck, black wildebeest and bontebok. 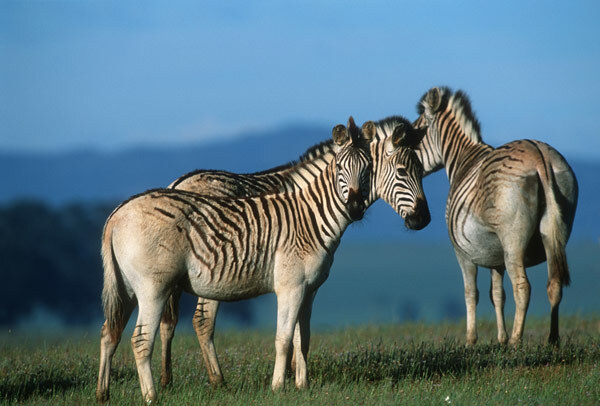 Also to be seen are zebras from the Quagga Project, which has aroused enormous interest around the world. This project is aimed at re-breeding the extinct quagga, a zebra-like animal with no stripes on its rump and legs, and reintroducing it into its former habitat. 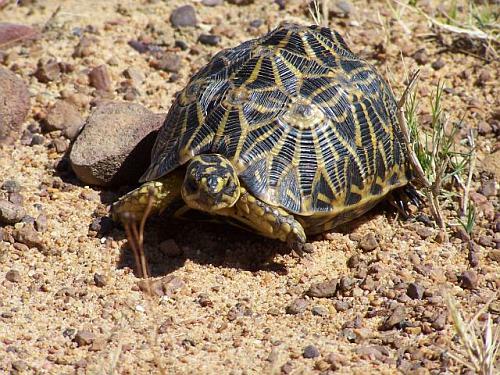 Probably the most important inhabitant however, is a small creature: the endangered geometric tortoise, one of the world’s rarest reptiles. Among the birdlife that can be seen, are the black eagle (Verreaux’s eagle) that nests in the mountains and an array of water birds, some resident like the fish eagles and the kingfishers, and others such as the pelicans and the spoonbills less regular visitors. The farm falls within the Cape Floral Region, one of the world’s six floral kingdoms, but extraordinarily rich in plant species. Vegetation in the reserve consists largely of highly endangered renosterveld, which is particularly threatened since it grows on rich soil which has almost entirely been ploughed up for agriculture. An in-house project has already identified more than 800 species of plants, some of which, such as the Elandsberg candelabra lily, the Elandsberg pea and a new species of pelargonium, the Elandsberg pelargonium, have only ever been found in the reserve. Activities on the farm are varied, with the game drives being the obvious hightlight. Mountain bikes are provided to cycle through the reserve or along the farm roads and there are plenty of routes to choose for walks. 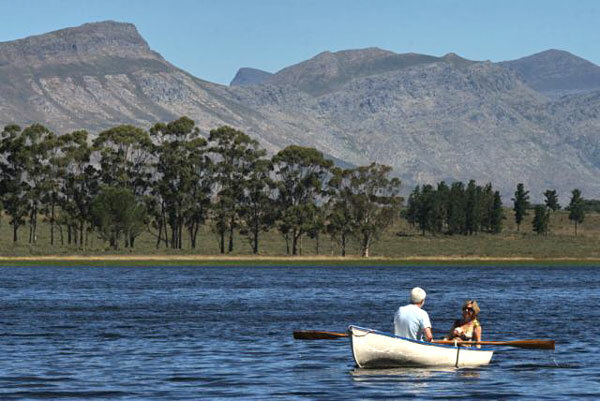 At the dam guests can take to the water in canoes, go windsurfing, trout fishing or birdwatching.